Fifteen-year-old Megan Berry is a Zombie Settler by birth, which means she's part-time shrink to a bunch of dead people with a whole lot of issues. All Megan wants is to be normal and go to homecoming, of course. Unfortunately, it's a little difficult when your dates keep getting interrupted by a bunch of slobbering Undead. Things are about to get even more complicated for Megan. Someone in school is using black magic to turn average, angsty Undead into flesh-eating Zombies, and it's looking like homecoming will turn out to be a very different kind of party the bloody kind. Megan must stop the Zombie apocalypse descending on Carol, Arkansas. Her life and more importantly, homecoming depends on it. Meg's also being stalked by a hot-albeit undead-seer named Cliff. Can Cliff's premonitions help Megan stop a zombies-on-ice deathscapade and discover who's really behind the coma-killer crusade before an entire army of undead rise up? And when Megan's boyfriend Ethan grows jealous of Cliff, will it end their intra-settler romance? Stacey Jay's snarky teen-speak is dead-on and hysterical! Ally Carter better get used to the smell of grave dirt . . .
Q: What could be worse than spending Valentine's Day alone? A: Spending it with evil zombies!! Megan Berry is no stranger to heartbreak, but spending Valentine's Day serving other happy couples hot dogs while mourning the loss of her one true love is almost more than even a highly trained Zombie Settler can handle. So when her recently estranged boyfriend, Ethan, texts her asking her to be his Valentine, she ditches her bodyguard and rushes to his side. 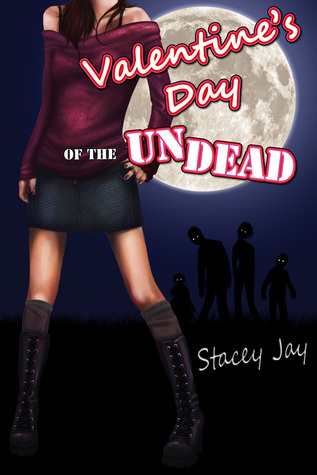 But soon, Megan's dreams of chocolates, flowers, and lingering make-up kisses take a turn of the rotted-corpse-and-maggot variety, and Megan fears that her first Valentine's Day with Ethan may be her last. It was so great to reread the first book, and then read the rest of the series! I just wish that I'd known going in that the first book had been republished and split into novellas and updated. Then I could've read the most up to date. Apparently there could've been more, but there was a bad situation. Boo. 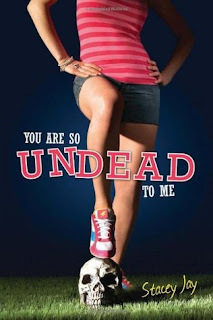 You Are So Undead to Me just introduced us to an amazing world, I loved the idea of Settlers, and how that all works! I wouldn't want to be Megan, because yeah, it doesn't sound pleasant, but it's such an interesting concept! 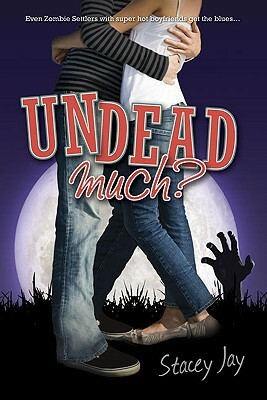 There was a lot going on in Undead Much! Given that her best friend was locked up for what she did in the previous book, you'd think that would be it. But there's the dead guy seer who won't go down and seems connected to her. Plus the settler-resistant zombies! Yeah! So great to read! So Valentine's Day of the Undead, yeah, it was so great to read! It added a whole bunch to the world with the magic and being part witch, and with the bad guy and all! And I wish we could've gotten more, but alas, it's unlikely to happen! Too bad because it could've been so great! Loved reading this series, because it was just so freaking great! Reason Why: Rereading! And they're Prequel & Sequel Challenge 2017 Books! And Undead Much is a End of Series 2017 Book and a LLFL Book!